Project Linus arrived in the UK in March 2000, coming over from from it’s founder country the USA. The idea behind project Linus is very simple, for volunteers to make a quilt or blanket which in turn, is given to a child. Each quilt receives its very own project Linus label. 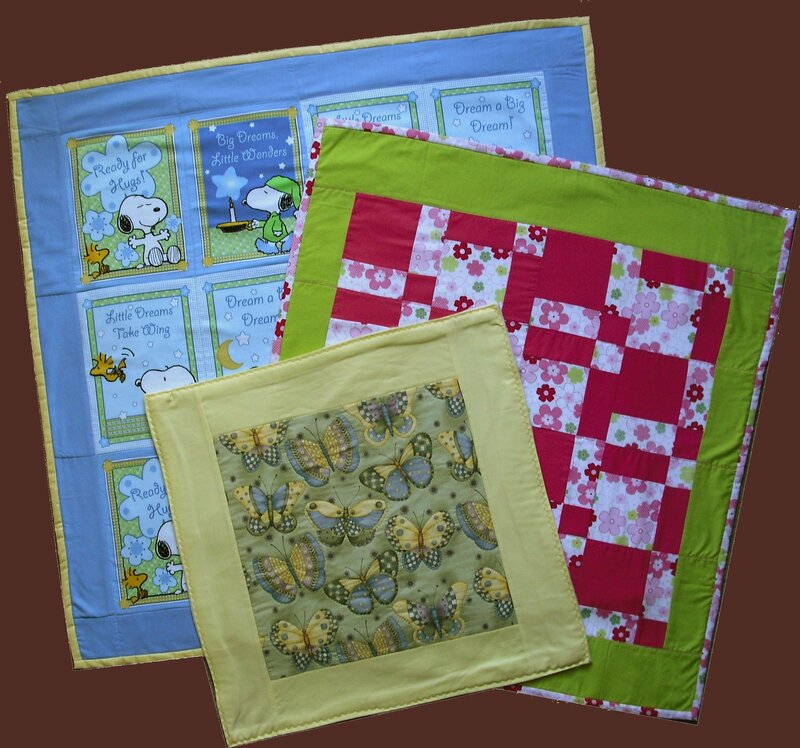 The child who receives the quilt or blanket may be a premature baby, cancer patient, seriously ill abused or traumatised. A child in need of a big hug. Quilt go to refuges, hospitals etc. local to our area. Montague Patchers became involved several years ago and keeps local hospitals supplied with a steady flow of quilts. The members of Montague Patchers send their “Hugs” in many shapes and sizes and in all the colours of the rainbow. From the many thank-you letters we have received the staff and carers enjoy looking at our quilts too, eagerly awaiting a new batch , which sadly will always be needed. The quilts pictured here were made by Alma Wilkinson and Alison Bothwick.